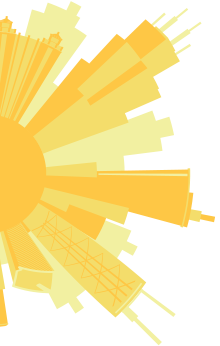 Megawatt media relations build awareness and influence for a global bank. 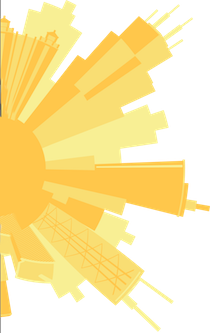 High-level media exposure to position the bank’s analysts and execs as industry thought leaders and key influencers. 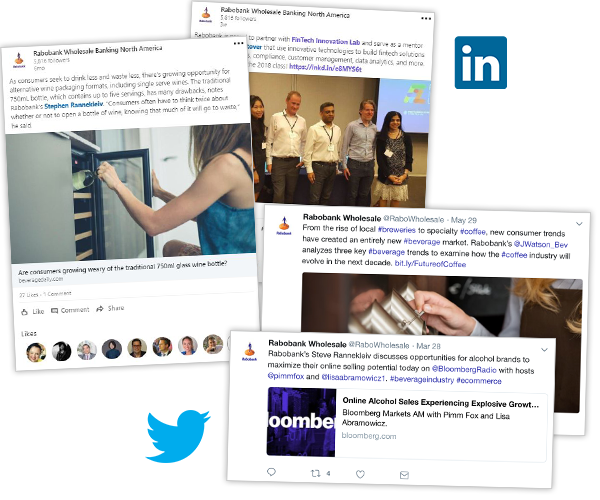 A strategic media relations plan with established KPIs tied to business objectives, which included a system for tracking key messages in articles, introductions to A-list reporters and more. 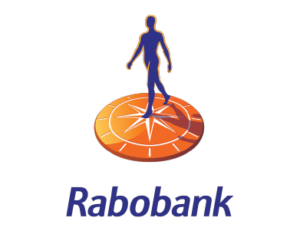 Rabobank is a global financial leader in the food and agriculture industries. Their analyst team in North America authors a steady stream of reports with unmatched industry insights. Their financial advisory and M&A teams are also renowned. Without a plan for high-level media outreach, placements were often random, if at all. CBD organized and prioritized an aggressive media outreach initiative so that the insights from multiple subject matter experts would be leveraged for maximum impact. For social media, an amped-up engagement strategy built followers and interaction with clients, prospects and key influencers. 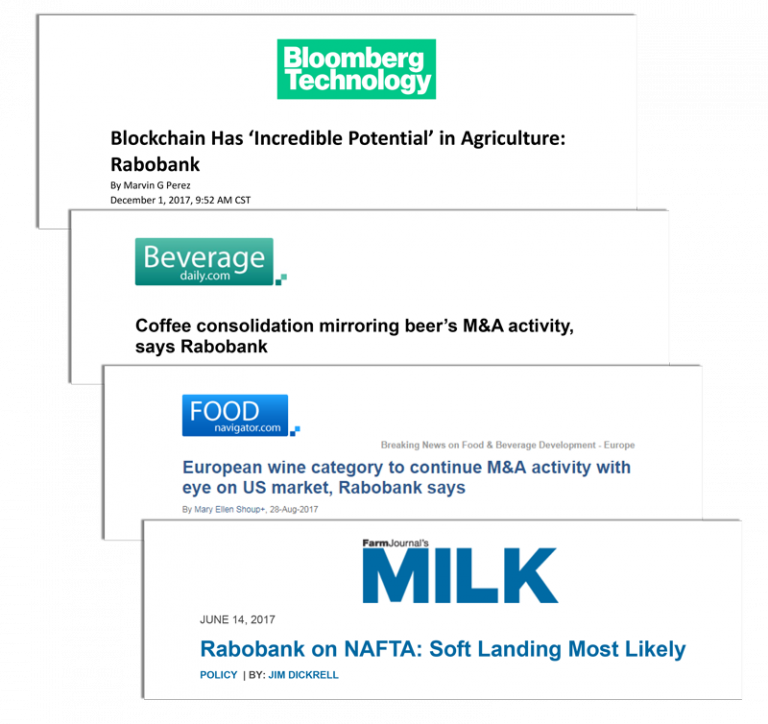 Eye-catching media exposure for Rabobank NA which increased brand awareness and built influence for their analysts and executives, allowing the global financial leader to further establish its expertise in the food and agriculture industry.